White 2016 Nissan Sentra SR FWD CVT with Xtronic 1.8L 4-Cylinder DOHC 16V Guaranteed credit approval and a solid book value on this 2016 NISSAN SENTRA SR make it perfect for your new ride, or maybe you're looking for an affordable commuter? maybe ths car is looking for you? 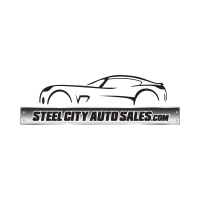 Here at Steel City Auto Sales we believe in being as easy, honest , and convenient as possible. We think that buying a new vehicle should be a fun and transparent experience that makes Both parties happy! Recent Arrival! 29/38 City/Highway MPG Give us a call at 610-419-1000 and ask for Bob, Jason,Jose,Chris, or Freddy. We promise it will be a good experience! EASY APPROVAL ON THIS UNIT!! New Price! Aspen White 2015 Nissan Sentra SR FWD CVT with Xtronic 1.8L 4-Cylinder DOHC 16V Here at Steel City Auto Sales we believe in being as easy, honest , and convenient as possible. We think that buying a new vehicle should be a fun and transparent experience that makes Both parties happy! New Price! Candy White 2014 Volkswagen GTI Wolfsburg Edition FWD 6-Speed DSG Automatic with Tiptronic 2.0L I4 TSI DOHC 16V Turbocharged ABS brakes, Compass, Electronic Stability Control, Heated door mirrors, Heated front seats, Heated Front Sport Seats, Illuminated entry, Low tire pressure warning, Remote keyless entry, Traction control. Here at Steel City Auto Sales we believe in being as easy, honest , and convenient as possible. We think that buying a new vehicle should be a fun and transparent experience that makes Both parties happy! Priced below KBB Fair Purchase Price! 24/32 City/Highway MPG Give us a call at 610-419-1000 and ask for Jose,Chris or Fred. We promise it will be a good experience!